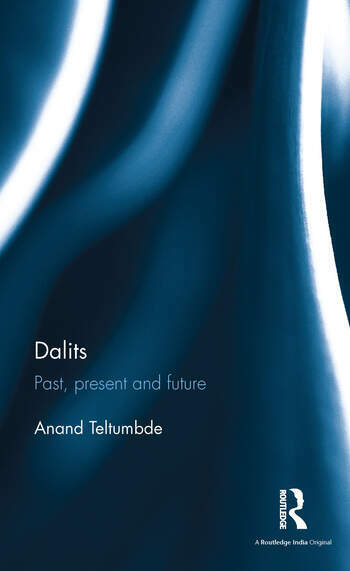 This book is a comprehensive introduction to dalits in India (who comprise over one-sixth of the country’s population) from the origins of caste system to the present day. Despite a plethora of provisions for affirmative action in the Indian Constitution, dalits are largely excluded from the mainstream except for a minuscule section. The book traces the multifarious changes that befell them during the colonial period and their development thereafter under the leadership of Babasaheb Ambedkar in the centre of political arena. It looks at hitherto unexplored aspects of the degeneration of the dalit movement during the post-Ambedkar period, as well as salient contemporary issues such as the rise of the Bahujan Samaj Party, dalit capitalism, the occupation of dalit discourse by NGOs, neoliberalism and its impact, and the various implicit or explicit emancipation schemas thrown up by them. The work also discusses ideology, strategy and tactics of the dalit movement; touches upon one of the most contentious issues of increasing divergence between the dalit and Marxist movements; and delineates the role of the state, both colonial and post-colonial, in shaping dalit politics in particular ways. A tour de force, this book brings to the fore many key contemporary concerns and will be of great interest to students, scholars and teachers of politics and political economy, sociology, history, social exclusion studies and the general reader. Anand Teltumbde is one of India’s most prominent rights activists and is General Secretary of the Committee for Protection of Democratic Rights (CPDR), Maharashtra, India. He teaches at the Vinod Gupta School of Management, Indian Institute of Technology Kharagpur, India. He has authored several books, articles and papers on a variety of issues, especially caste, class, political economy and democratic politics in contemporary India, and has been widely translated into Indian languages. He has lectured extensively in Indian and foreign universities, is a regular contributor to leading English newspapers and magazines, and writes a monthly column entitled ‘Margin Speak’ in the Economic and Political Weekly.